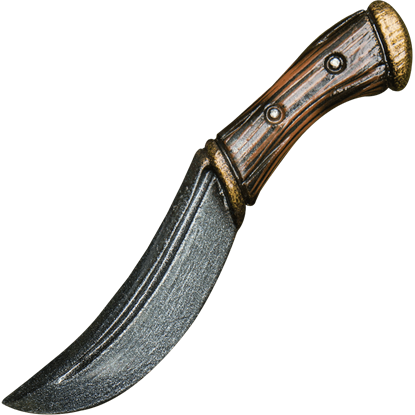 Have your LARP blade by your side and ready for whatever the journey has in store with the Black Sword Frog. 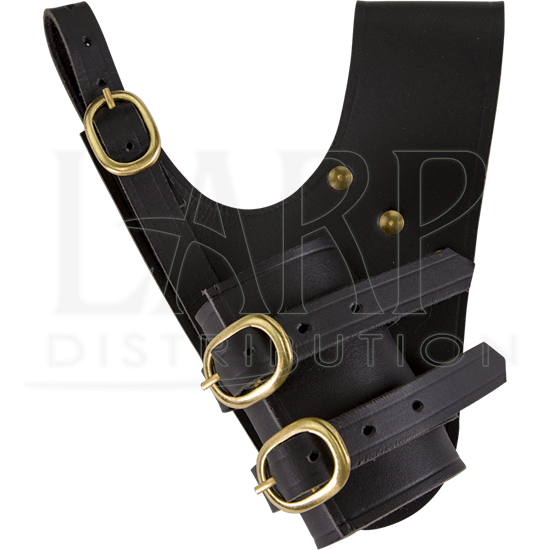 This right-handed leather sword frog has adjustable brass buckled straps to hold your LARP sword securely on most belts. 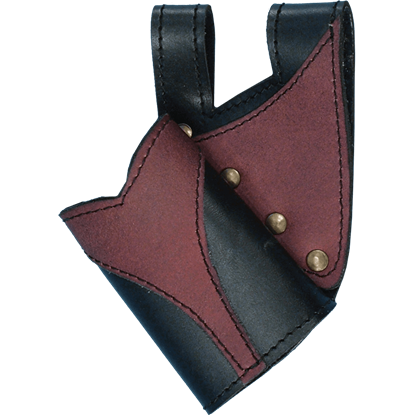 Two loops at the top attach the medieval sword frog to your belt. 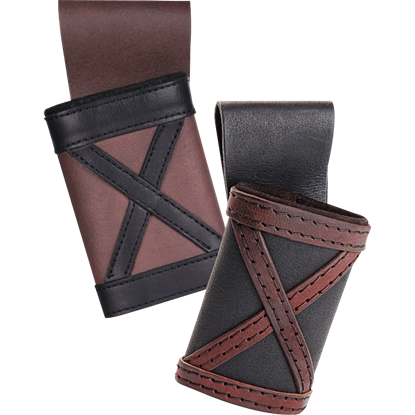 The thin front loop is adjustable, can be opened completely, and secures with a brass buckle. 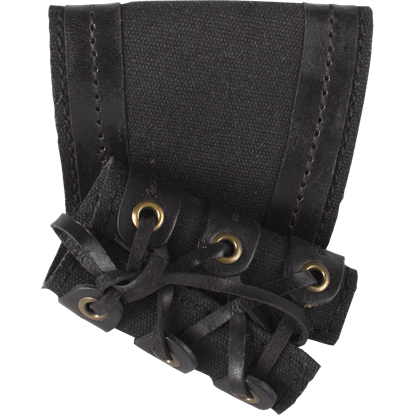 The thicker, closed back loop is reinforced with three brass studs. 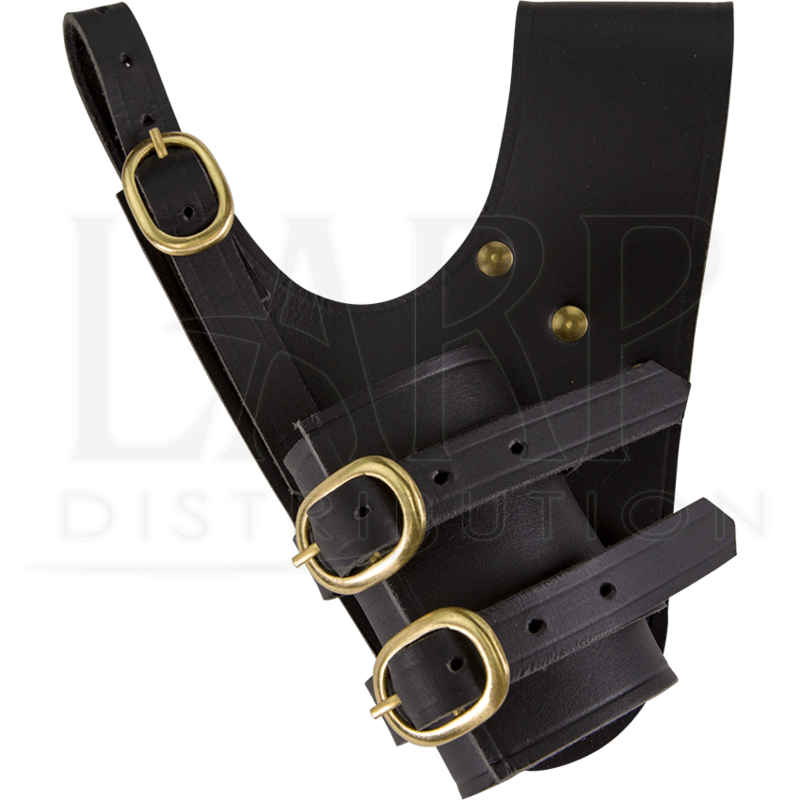 Twin brass buckled straps can be adjusted to hold the sword in place, hanging on the left side, ready to be drawn with the right hand. 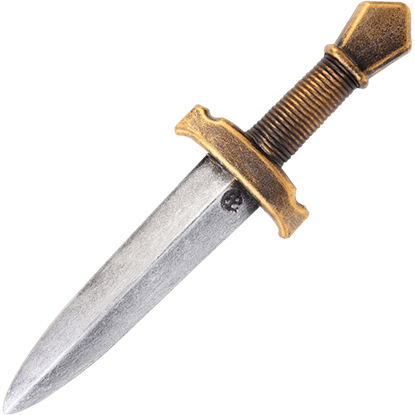 This handcrafted leather sword frog has a versatile look and great adjustability, making it perfect for a variety of characters and settings.